Sabre .54 oz. 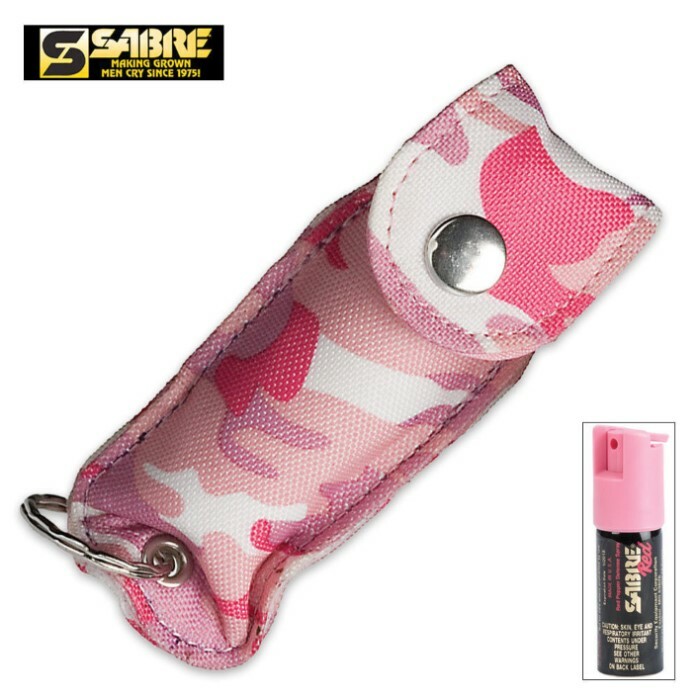 Pocket Key Case Pink Camo | BUDK.com - Knives & Swords At The Lowest Prices! Don't sacrifice style, even when it comes to personal defense. Who knew personal defense could be so potent AND pretty in pink?! Sabre does both with this maximum strength pepper spray. This .54 oz. canister provides up to 25 powerful bursts of pepper spray that will send would-be assailants reeling away in pain. The powerful stream sprays up to 10 feet with decreased wind blow-back and a reinforced safety feature to prevent unintentional discharge.